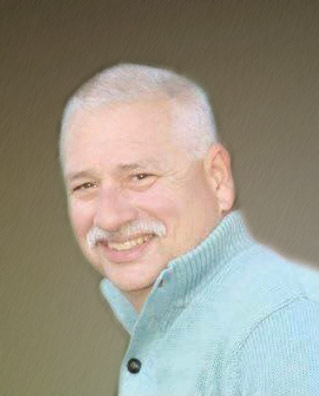 Timothy “Tim” Wayne Miller, 60, of Ridge Farm, passed away on the evening of Wednesday, April 3, 2019, at OSF Sacred Heart Medical Center in Danville, IL. Born July 25, 1958, in Danville, he was the son of the late Rex and Carolyn (Smith) Miller. Tim was raised in Ridge Farm, graduating from Ridge Farm High School in 1976. During his time in school, he was a member of the basketball team. He truly enjoyed his hometown and was content to make Ridge Farm his lifelong home alongside his wife, Judy (Geisert), whom he married on July 7, 1979. They had three daughters, Kyle’ (Matthew) Barrett of Hume, IL, Annette Miller of Paducah, KY, and Erin (Lucas) Barton, of Westville, IL. Tim worked at ERH Enterprises, Inc., as part of the engineering services management effort in the Village of Westville for over 30 years. As was a common theme throughout his life, Tim made many friends through his work. Always quick to offer a smile, helping hand and kind word, Tim possessed a servant’s heart and was actively involved in his community. Becoming a member of the Catlin (Ill.) Masonic Lodge No. 285 in 2005, Tim carried his service to Russell Masonic Lodge No. 154 in Georgetown where he remained an active member at the time of his passing. Tim enjoyed working outdoors, agriculture and farming whenever he could, watching his beloved Green Bay Packers play football, family outings at Monical’s Pizza, cheering on the St. Louis Cardinals and collecting John Deere merchandise. He also enjoyed spending time with his family and numerous friends, especially his children of whom he was immensely proud. While his family and friends brought him much happiness, Tim’s greatest joy in life was found through his role as a grandparent. As “Papaw” to Tanner, Cambree and Ryder Bazarnyj of Paducah, Ky., and “Poppy” to Clay and Chloe Barton of Westville, Tim will be dearly missed. Tim is survived by his mother, Carolyn Livingston; his wife, Judy; his children; his grandchildren; and his step-mother, Phyllis Miller of Ridge Farm. He is also survived by his brothers, Daniel Miller of Arlington, VA, and Michael (Tonda) Miller of Indianola; his brother-in-law, Robert (Paula) Geisert of Kokomo, IN; his niece, Misha Geisert of Kokomo; and many loving cousins and friends. He was proceeded in death by his father and nephew, Todd Miller; step-father, Dale Livingston; father-in-law, Robert D. Geisert; and mother-in-law, Barbara (Waldon) Geisert. A celebration of Tim’s life will be held at 10 a.m. on Monday, April 8, 2019 at Sunset Funeral Home and Creation Center in Georgetown, located at 200 E. West Street, with Pastor James Blue officiating. Visitation will be held from 2 – 6 p.m. on Sunday, April 7, 2019, with Masonic services by Russell Masonic Lodge No. 154 at 6 p.m. at the funeral home. Tim will be laid to rest in Crown Hill Cemetery in Ridge Farm, IL, following Monday’s service. Memorial contributions may be given in Tim’s name to the American Diabetes Association by visiting http://www.diabetes.org/. Please join his family in sharing memories through his Tribute Wall at www.sunsetfuneralhome.com.